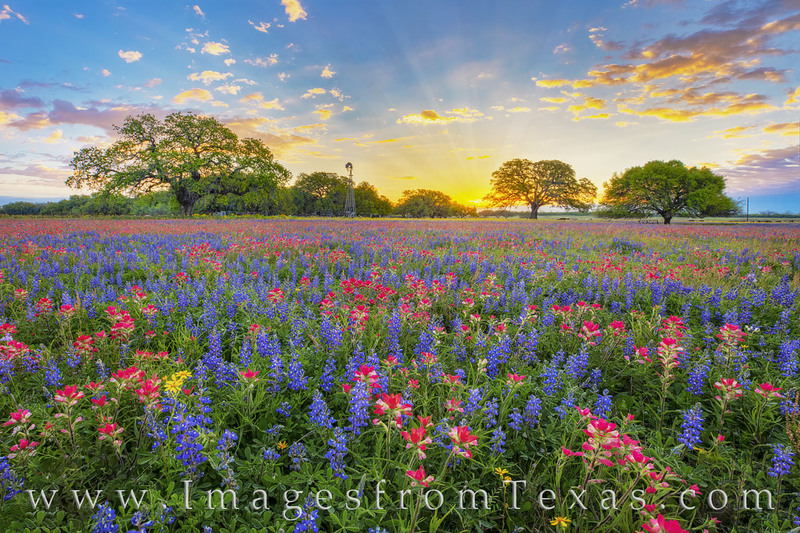 On a beautiful spring morning south of San Antonio, wildflowers or red and blue and gold fill a field as the sun’s first light shines into the cool air. Bluebonnets mixed with Indian Paintbrush and other wildflowers and painted an incredible landscape. A windmill in the distance adds a Texas flair to this sunrise landscape. It was an unforgettable morning. This wildfllower photograph was shot on private property with permission from the land owner. Photo © copyright by Rob Greebon.